This is a common question from patients. Firstly in our assessment of scars, we have to assess the patient as a whole. Every scar in every patient is managed differently and there are lots of variables to consider. These are the types of questions we need answers to before prescribing a scar reduction plan. How old is the patient? If the patient is a young child, the scar may enlarge with their natural growth and can stretch. Older patients tend to heal up better from surgical scars as there is less tension in the skin. What is the scar from? A traumatic fall? a burn? an acne scar? or a surgical scar? Each of these types of injuries will result in different types of scars. If the scar is from acne (for example), there needs to be complete control of any breakouts of acne before we then tackle the scarring. There is no point addressing the scarring without treating the new bouts of acne. What skin phototype is the patient? Typically patients with darker skin types will scar worse than people with fairer skin types. However, a true scar is not to be confused with post inflammatory hyper-pigmentation (PIH). This PIH is more common in darker skinned people and PIH should resolve without scarring but it can take 6 months or more to resolve in darker skinned people. Hence PIH differs to scarring as often with PIH there is no need for any treatment other than waiting for spontaneous resolution. How long has the scar been present for? Scars can take about 2 years before they fully mature and transition from the acute red/pink colour to the long-term pale/white colour. So if a scar is only recent, it should be explained to the patient that there is a fair chance the scar will improve naturally without any treatment. Could the scar actually be a skin cancer? There are some types of skin cancers that can mimic scar and for this reason, patients ignore the lesion. If there is a scar area or an ulcer that is worsening with time, we should alway consider scar-like skin cancer. The most common one would be sclerosing basal cell carcinoma. This type of skin cancer can be difficult to treat; particularly as patients may not seek treatment quickly. Is the patient taking any medication? Some medications can delay wound healing and hence continuation of such medication needs to be carefully considered in the context of scarring. Is the patient using sunscreen? UV exposure not only increases the risk of and darkens any existing PIH in a scar, it also impedes our natural wound healing response leading to a poorer cosmetic outcome. Is the patient allergic to any wound dressings? Avoiding irritants in the area, whether it be a traumatic or surgical scar, will enable better healing without causing additional inflammation in the surrounding skin. If the wound is carefully looked after in the early stages of healing, the risk of a scar, or the extent of scarring can be minimised. Is the patient using any medical grade skin care? This is particularly relevant to facial scars or acne scars and depending on the evolution of the scar (i.e. new, old, currently being treated) active skincare such as Vitamin A creams or prescription fading creams such as Hydroquinone preparations can either aid or hinder healing and must be used under the supervision of an experienced practitioner. Effective treatment for scarring involves accurate assessment of the scar. Is it tethered to the underlying tissues? If so, subcision, where there is manual release of the tethered tissue could be appropriate. Box car, rolling, ice pick – these are all terms for the different types of scarring in acne. Acne scarring can be treated by a number of modalities including Fractionated laser, Radio frequency, Fractional radio frequency or Skin needling. Each of these vary with respect to downtime, discomfort, cost, result and suitability of skin type. Keloid scar? Intralesional steroid injections could be appropriate to flatten the areas and improve the pain of the scar for patients, as often patients often have exquisitely sensitive skin over their keloid area. The dermatologist will decide on the strength of the steroid injection needed. This is important as too weak a strength will result in no change in the keloid scar; and too concentrated an injection will mean skin dipping where the injection is. Hence injections should be performed carefully by experienced doctors. These injections are usually performed every 4-6 weeks until good cosmetic result is seen. PIH or post-inflammatory erythema? As mentioned, assessment is important to not only ensure the correct treatment is selected but in some instances, no treatment is in fact the best treatment. Patients often present looking to improve their self-perceived acne scars when in fact the skin is still healing from recent breakouts and any post-inflammatory redness will fade with time without intervention as will PIH. In saying this, we can often speed up this process with vascular laser (for a red scar) and prescription fading creams/skin needling/laser for pigmented scars. 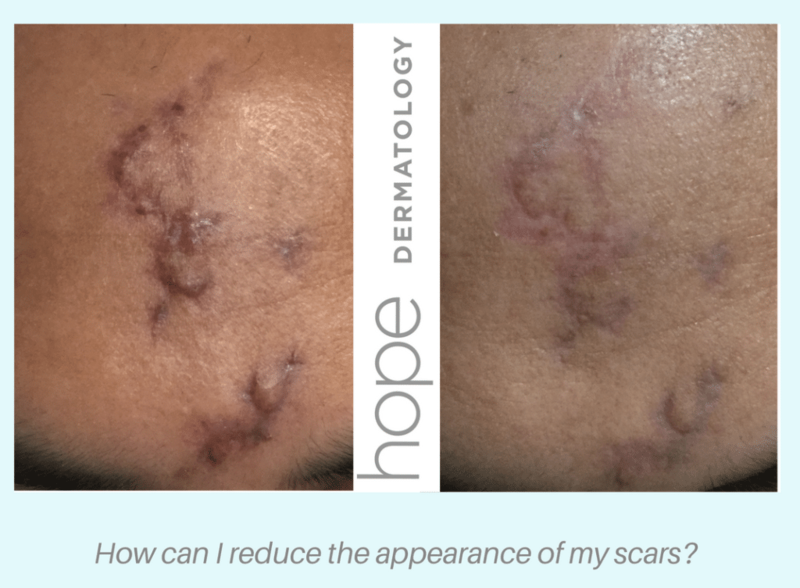 We offer a variety of treatments for many types of scars here at Hope Dermatology and encourage you to book with our team of Specialist dermatologists and cosmetic team to discuss the most appropriate treatment plan for you and your skin. Call us on (03) 9039 5644 for a consultation. Apart from consulting in our wonderful clinic in South Melbourne, I also am a staff specialist at The Alfred Hospital in the general dermatology clinic and have held that position for about 6 years. But another position I also hold is at the Nail Clinic in the Skin and Cancer Foundation Inc in Carlton. Here at this monthly clinic, our team consisting of dermatology specialists, podiatrist, nurses and clinical photography assess all manner of nail conditions and concerns. Dr Anne Howard leads our team and she has contributed to a recent article in Prevention Magazine about Nail Conditions in Salons. A lot of patients may not even know that nail conditions are managed by dermatologists! Nail conditions are a sub-specialty interest of mine and I see a lot of patients with nail issues in my private clinic in South Melbourne too. Recently I have seen a whole load of nail cases and below are some of my recommendations about nail issues arising from common cases or questions that my patients ask me. Be careful to only use LED light and not UV light in the curing phase for these types of nail treatments. 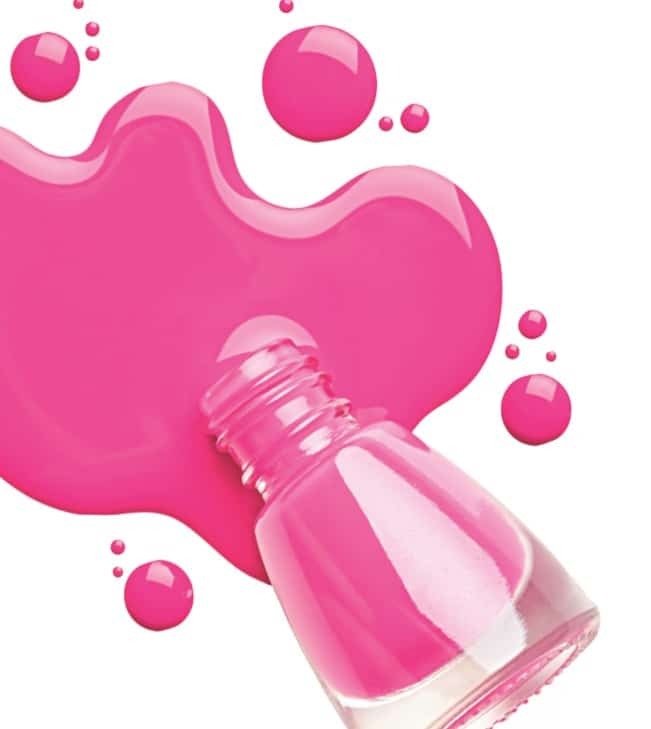 There have been studies to suggest that using UV lamps to harden gel nail polish may be harmful and lead to skin cancers. One observational study from Ireland has recently published about this risk in the Australasian Journal of Dermatology and has suggested the use of a high SPF, broad spectrum sunscreen before lamp exposure or the use of fingerless gloves to minimise risk. Try to avoid pushing back or cutting the nail cuticles with your nail treatment as the cuticle is important for healthy nail growth. Tinea (fungal infection) of the nail plate typically leads to a thick, crumbling and discoloured nail plate. It’s always best to prove there is a fungal infection present by taking a good quality nail clipping of the affected area and send for fungal culture. If fungal infection is proven, then a course of oral anti-fungal tablets is required (can be a 3-6 month treatment). Typically, topical anti-fungal paints/tinctures are not effective when the nail plate is heavily infected. If you are going to salons for your mani/pedi, be careful to ensure instruments are sterilised properly; or better yet, bring your own set of instruments. Thrush infection of the nail plate can cause discoloured nails and lifting of the nail plate and may need treatment with oral anti-yeast tablets. Pseudomonas (bacterial infection) of the nail plate can cause the nail to have a black/green discolouration. Dilute white vinegar soaks can help to improve the appearance of the nail. Too much manipulation of the nail can lead to lifting of the nail plate – manicures/pedicures with soaking of the nails, inserting instruments to clean under the nail, trauma (from footwear and running for example)…all these factors influence the “adhesiveness” of the nail plate to the underlying nail bed. Another cause of nail plate lifting can be psoriasis of the nail; with other features seen including pitting of the nail, discoloured red/yellow nails and thick crumbling nails. Nail psoriasis can sometimes be mistaken for tinea (fungal infection). This refers to very thick nails that can resemble a scallop shell with layers upon layers of keratin deposited over many years. Often patients are concerned about tinea infection of the nail but nail clippings do not grow any tinea. Management of this condition is cutting back and filing down the nail (with podiatry help if needed) and getting good supportive footwear to prevent the condition worsening. These present as long brown/black streaks on the nail plate and in most cases, is benign. Longitudinal melanonychia is seen often in patients with darker skin (Asians, Africans, Indians, Mediterranean backgrounds). It is thought to be due to a mole or a freckle residing around the area of the nail matrix and hence, as the nail grows, pigment is deposited along the nail plate. We always need to be on the lookout for melanoma of the nail unit. Features which are suspicious for melanoma include asymmetry of the pigment band, asymmetrically placed globules and dots, pigment bands of uneven thickness and uneven colour, and pigmentation on the skin at the base of nail (periungual fold). General weathering of the nails from ageing, wet work, trauma etc can lead to brittle nails. We would recommend using a good quality hand cream and ensure the cuticles are not damaged. Nail supplements containing biotin (vitamin B) may be helpful. These are rare but can present as a split in the nail, a sore lump under the nail, or a lump that discharges fluid under the nail or around the nail fold. Treatment for these types of lumps is usually surgical excision via dermatologist or plastic surgeon.